Struggling with the PUBG mouse acceleration after the Windows 10 Creators Update? No worries. Here are some fixes for the PUBG mouse acceleration in Windows 10, also applied to the Fall Creators Update 1709.. Step 1. Right-click the Start button and then click Search. Step 2. Type “mouse” in the search field and select Mouse. Step 3. In Mouse Properties window, click the Pointer options tab, and uncheck Enhance pointer precision and keep the slider adjustment bar on middle. Step 4. Change the mouse DPI settings and keep your mouse DPI to 400-600-800-1000. Step 1. Press Windows + R altogether, and type “Control Panel”. 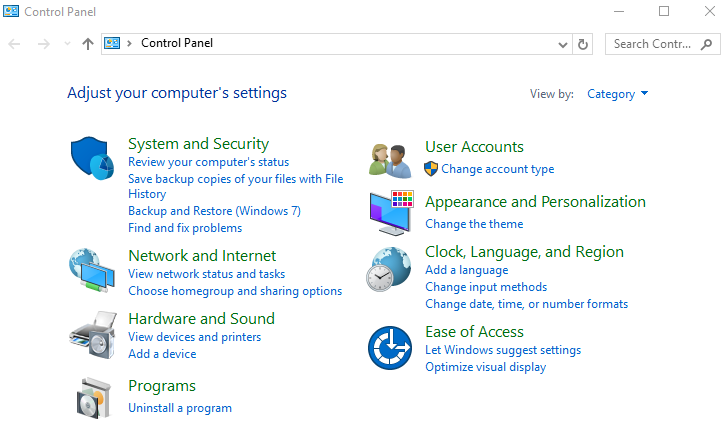 Step 2.In Control Panel window, click Ease of Access. Step 3. Click Ease of Access Center. Step 4.Click Make the mouse easier to use. Step 5.Click Set up Mouse Keys. Step 6. Under Pointer Speed, you could change the acceleration accordingly. Note: You could hold down the Shift key and press a number key to slow down. For Windows 10 gamers, if your PUBG mouse acceleration issue still exists, you could try to disable Vertical Synchronization (Vertical Sync) via the game settings or configuration menu under graphics settings. Hope the above troubleshooting steps could help you solve the PUBG mouse acceleration issue after Windows 10 Creators Update. Any questions, don’t hesitate to leave comments below for technical assistance.